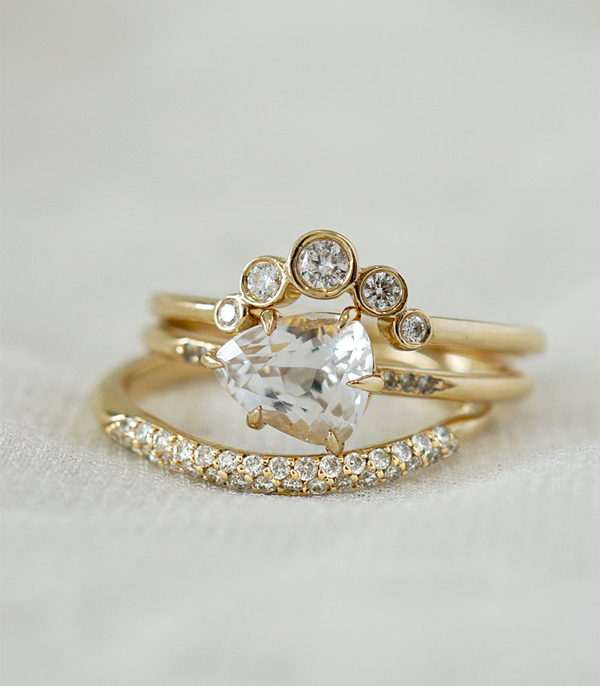 The Jasmine Stack is not your typical ring stack! This avant garde look centers a 1.46ct Brilliant Cut White Sapphire, turned East/West for a chic and unexpected twist. 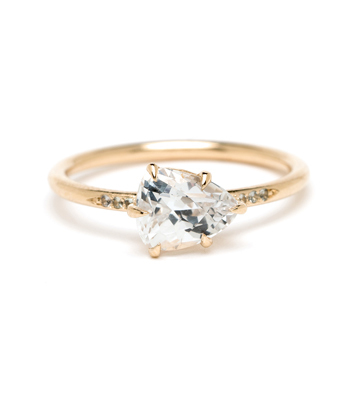 Twinkling grey sapphires accent the solitaire's band while bubbly Round Brilliant Cut diamonds encompass it on both sides. 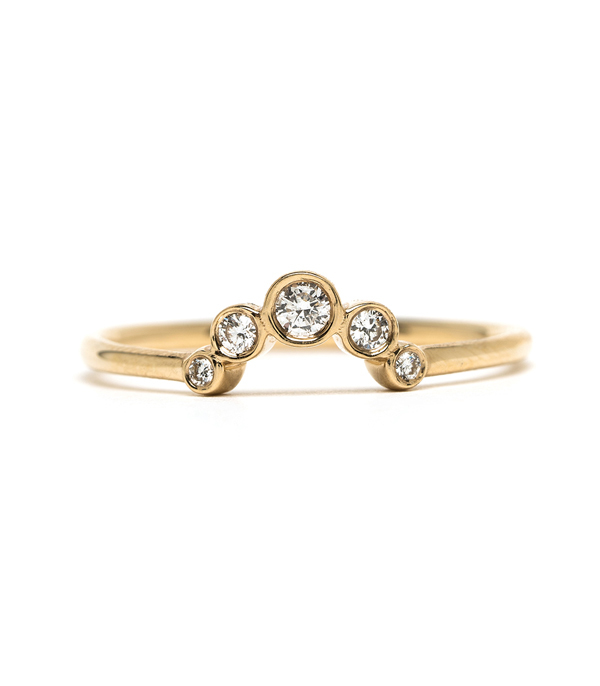 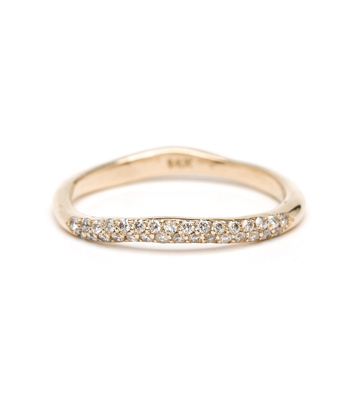 This wedding stack is ideal for the City Sophisticate bride who adores a twist on tradition and is compelled by a conflict-free diamond alternative. 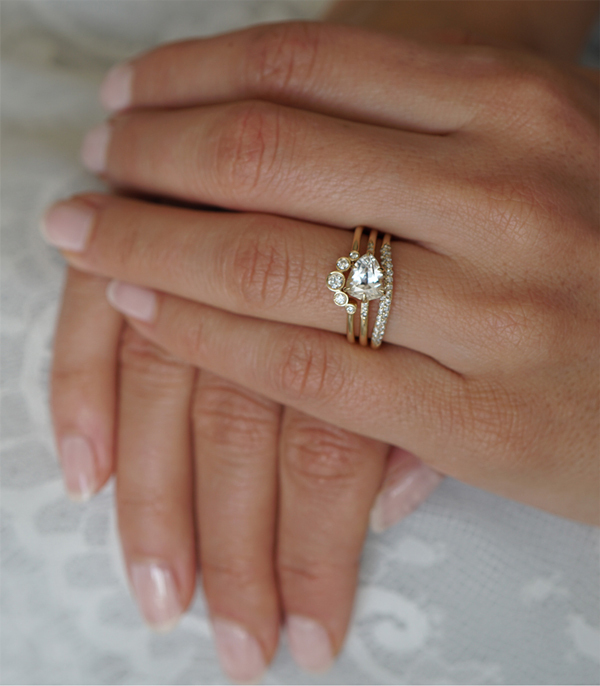 The Diamond Bezels Sunrise Ring crowns the Simple Solitaire Pear Shape White Sapphire and is hugged by the Petite Wavy Band II with Diamonds.